Science and curiosity go hand in hand. A lot of the best things that humanity has achieved started out as ideas that some curious person decided to pursue. And it’s so great when you can find a resource that harnesses the power of curiosity to teach, explore, and share science in a way that anyone can understand, but with serious experts backing every word. 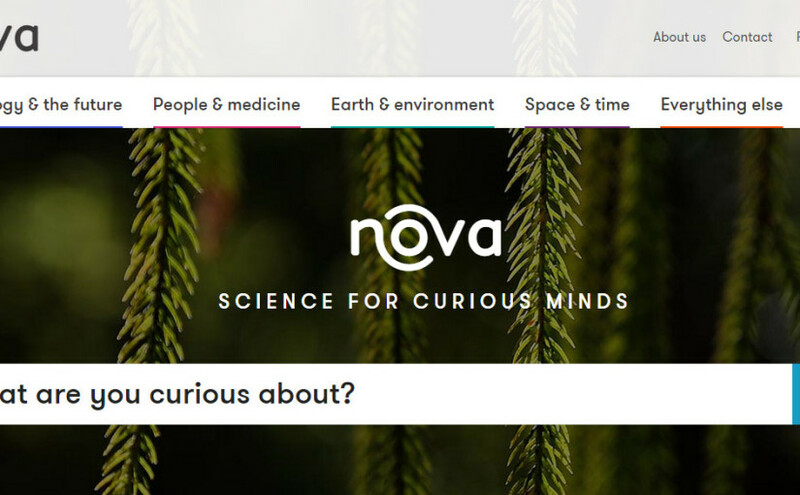 This is exactly what Nova is – one of the oldest science communication websites in Australia, which today launched a stunning, long-anticipated and carefully crafted re-imagined version. I was honoured to be at the launch tonight, so I got a tour of the website by one of the talented people running the project. Not only is it visually gorgeous, but already full of fascinating content – stories, videos, infographics – that I can’t wait to peruse in depth. I can tell I’ll be coming back to this site often. Isn’t this lovely? I’m really excited to see such a resource launched on a day that coincidentally is also an important milestone in my own science communication efforts. As you have probably noticed – or perhaps because you met me recently and I wouldn’t shut up about it – this is day 365. A couple very flattering readers have lamented that now they won’t be getting their daily dose of science any more, at least not from me, so it’s great that I can finish with a recommendation to a brand new resource. Am I still going to write? Absolutely, so STAY TUNED for what will happen next on this blog. As of this week I have also started regularly contributing ScienceAlert, so you will see my byline pop up a couple times a week – and if you want your daily dose of accessible, easy to read science news, you should be following it already. I can’t believe I actually did it. In fact, this is going to take some time to sink in. Go science – and, of course, National Science week! Thank you for all the support from my friends, family, colleagues, total strangers who’ve walked up to me and exclaimed ‘I read your blog’, all my great connections on Twitter, everyone else I forgot, my cat Audrey, and, of all people, the person I am most lucky to have in my life, and without whose support I wouldn’t have completed this ridiculous endeavour – my patient and wonderful husband-to-be Tim. Go science and go Signe! Very proud – of you and to know you! And let me say again that it’s a truly amazing achievement you’ve accomplished here. Congratulations! Apsveicu ar veiksmīgu izaicinājuma pieveikšanu! Lai jauni izaicinājumi un jauni sasniegumi! Par tiem, kuri skaisti un gudri!